Rabbits are an invasive species that has caused immense ecological devastation to the continent of Australia for over 150 years. They procreate with uncontrollable velocity, consume cropland like locusts, and contribute significantly to soil erosion. Although some of the government's rabbit eradication methods have been successful in controlling their spread, the overall rabbit population in Australia is still well beyond sustainable means. In 1859, a man named Thomas Austin, a landowner in Winchelsea, Victoria imported 24 wild rabbits from England and released them into the wild for sport hunting. Within a number of years, those 24 rabbits multiplied into millions. By the 1920s, less than 70 years since its introduction, the rabbit population in Australia ballooned to an estimated 10 billion, reproducing at a rate of 18 to 30 per single female rabbit per year. The rabbits started to migrate across Australia at a rate of 80 miles a year. After destroying two million acres of Victoria's floral lands, they traversed across the states of New South Wales, South Australia, and Queensland. By 1890, rabbits were spotted all the way in Western Australia. Australia is an ideal location for the prolific rabbit. The winters are mild, so they are able to breed nearly year-round. 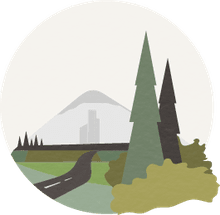 There is an abundance of land with limited industrial development. Natural low vegetation provides them with shelter and food, and years of geographic isolation has left the continent with no natural predator for this new invasive species. Currently, the rabbit inhabits around 2.5 million square miles of Australia with an estimated population of over 200 million. Despite its size, much of Australia is arid and not fully fit for agriculture. What fertile soil the continent has is now threatened by the rabbit. Excessive grazing by the rabbit has diminished vegetative cover, allowing wind to erode away top soil. Soil erosion affects revegetation and water absorption. Land with limited top soil can also lead to agricultural run-off and increased salinity. The livestock industry in Australia has been widely affected by the rabbit. As food yields decrease, so does the cattle and sheep population. To compensate, many farmers extend their livestock range and diet, farming a wider expanse of the land and thus further contributing to the problem. The agricultural industry in Australia has lost billions of dollars from the direct and indirect effects of the rabbit infestation. The introduction of the rabbit has also strained the native wildlife of Australia. Rabbits have been blamed for the destruction of the eremophila plant and various species of trees. Because rabbits will feed on seedlings, many trees are never able to reproduce, leading to local extinction. Additionally, due to direct competition for food and habitat, the population of many native animals such as the greater bilby and the pig-footed bandicoot has declined dramatically. For much of the 19th century, the most common methods of feral rabbit control have been trapping and shooting. But between 1901 and 1907, the Australian government went with a national approach by building three rabbit-proof fences to protect the pastoral lands of Western Australia. The first fence stretched 1,138 miles vertically down the entire western side of the continent, starting from a point near Cape Keravdren in the north and ending in Starvation Harbor in the south. It is considered to be the world's longest continuous standing fence. The second fence was built roughly parallel to the first, 55 - 100 miles further west, branching off from the original to the southern coast, stretching 724 miles. The final fence extends 160 miles horizontally from the second to the western coast of the country. Despite the enormity of the project, the fence was deemed unsuccessful, since many rabbits traversed over to the protected side during the construction period. Additionally, many have dug their way through the fence, as well. The Australian government also experimented with biological methods to control the feral rabbit population. In 1950, mosquitoes and fleas carrying the myxoma virus were released into the wild. This virus, found in South America, only affects rabbits. The release was highly successful, as an estimated 90-99 percent of the rabbit population in Australia was wiped out. Unfortunately, because mosquitoes and fleas do not typically inhabit arid areas, many of the rabbits living in the continent's interior were not affected. A small percentage of the population also developed a natural genetic immunity to the virus and they continued to reproduce. Today, only about 40 percent of rabbits are still susceptible to this disease. To combat the reduced effectiveness of myxoma, flies carrying a rabbit hemorrhagic disease (RHD), was released in Australia in 1995. Unlike myxoma, RHD is able to infiltrate the arid areas. 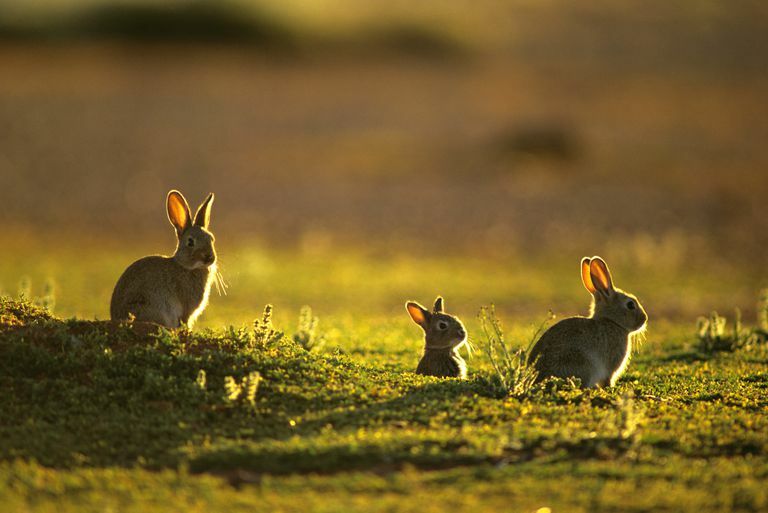 The disease helped reduced rabbit populations by 90 percent in arid zones. However, like myxomatosis, RHD is still limited by geography. Since its host is a fly, this disease has very little impact on the cooler, higher rainfall regions of coastal Australia where flies are less prevalent. Moreover, rabbits are beginning to develop resistance to this disease, as well. Today, many farmers still use conventional means of eradicating rabbits from their land. Although the rabbit population is a fraction of what it was in the early 1920s, it continues to burden the country's eco- and agricultural systems. They have lived on Australia for over 150-years and until a perfect virus can be found, they'll probably be there for several hundred more. Why Isn't Greenland Considered a Continent? A House Design for Australia's Northern Territory. How Did the Dust Bowl Exacerbate the Great Depression?